Merrill Wyatt lives in Toledo, Ohio, with her husband, daughter, three cats, and a hamster who might possibly be an immortal magician. She spent far too much of her childhood wandering around cemeteries and old Victorian homes. A middle-school technology teacher, she is dollphobic, donut-obsessed, and owns too many pairs of shoes. "A snarky, sparky Nancy Drew of the undead with more twists than a zombie zumba class. 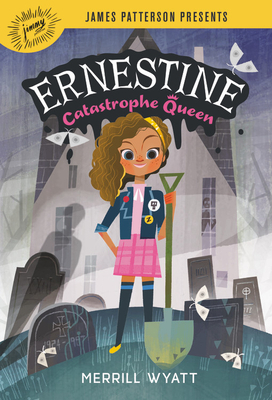 I sooo want Ernestine on my side when the zombie apocalypse comes!" "A traditional mystery filled with laugh-out-loud funny moments make for a winning combination."